White Wolf : New research shows that when one wolf yawns, a packmate often does too. 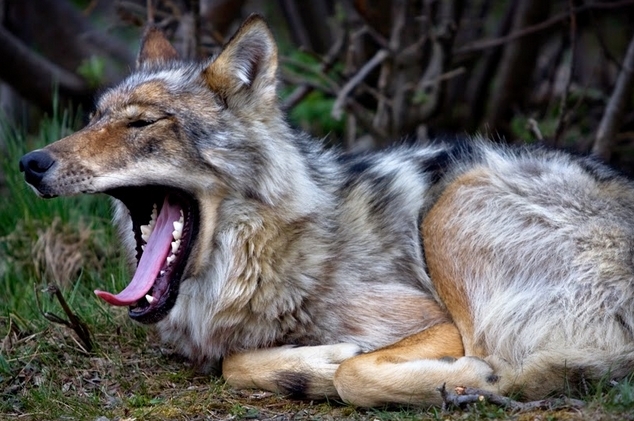 New research shows that when one wolf yawns, a packmate often does too. This is the first time this phenomenon has been observed in wolves, the researchers say. For centuries, scientists have been puzzling over why we yawn. We tend to yawn more when we’re tired than when we’re not, but people and animals yawn at plenty of other times too. (How many of you have yawned so far just reading this article?) Some studies have found that yawning cools the brain, since the intake of outside air lowers internal temperature. Others say that yawning helps keeping us alert, which may explain why some people yawn right before doing something stressful, like jumping out of a plane. Still, these theories don’t totally explain one of the more fascinating aspects of yawning: When we see someone else yawn, our chances of yawning go way up. University of Tokyo biologist Teresa Romero says that the leading hypothesis among scientists is that this contagious yawning is related to empathy—meaning an empathetic person or animal will feel tired when he or she observes another individual looking tired. Until now, contagious yawning was thought to be something only humans and other primates like chimpanzees do. Scientists who had looked for evidence of yawn contagion among domestic dogs had gotten mixed results—some studies seemed to show that one dog yawning triggered another dog to yawn, whereas other studies didn’t find any association. Romero was especially interested in how dogs and wolves thought differently, so she figured that investigating contagious yawning among wolves might help provide a better understanding of the two species’ differences. Romero wanted the latest study to be in as realistic a setting as possible, so she and her colleagues spent 524 hours over five months observing a pack of 12 wolves at the Tama Zoological Park, which is known for its naturalistic enclosures. 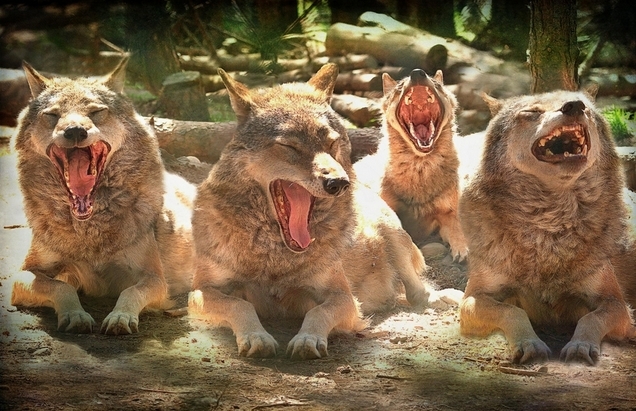 They noted every time a wolf yawned spontaneously, then recorded the responses of any wolves nearby that had seen the yawn. The researchers also measured how frequently the wolves yawned without seeing their packmates also doing so. The researchers found that the wolves were significantly more likely to yawn after seeing another wolf do so than at other times. In 50 percent of their observations, a wolf yawned after seeing another do so; wolves yawned only 12 percent of the time when they didn’t see another wolf do so. 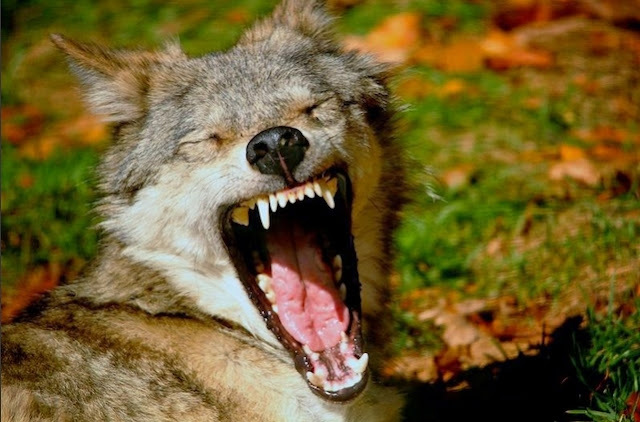 Yawns were also more likely to be contagious among wolves with close social bonds, the researchers report Wednesday in PLOS ONE. 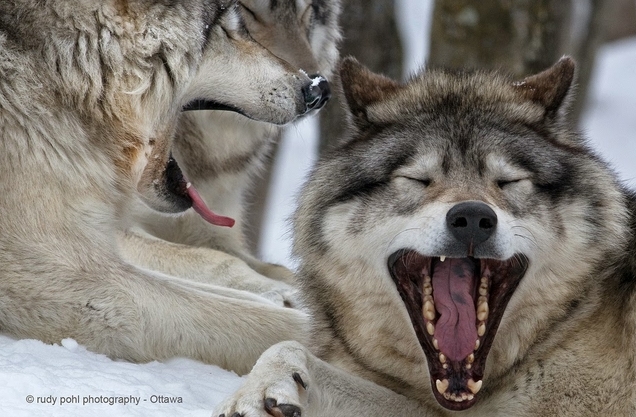 Responses to "New research shows that when one wolf yawns, a packmate often does too."